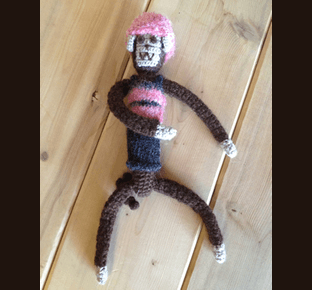 Red Maple Hand made Monkeys crafted by artisans from Peru. 100% Alpaca approx. 10in. tall by 2in. diameter. 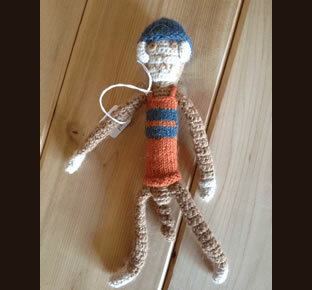 Various colors, and sweater designs, arms and legs movable. But not suitable for under 3yr. olds. These little fellows could not be cuter! they are perfect for a small gift for older kids and adults alike. One thing we will guarantee is a smile when you open this package.